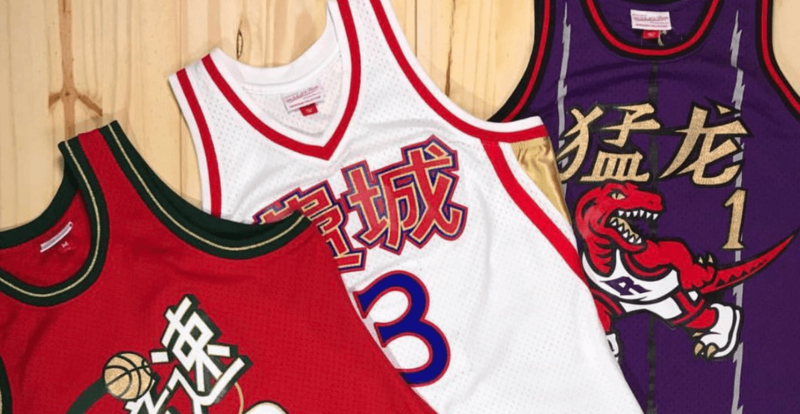 Throwback jerseys are always a sell, but with Chinese characters? It’s a whole different ball game. A user on Reddit posted the look of a potential Toronto Raptors jersey recently, throwing it all the way back to the striped, purple dinosaur design, but with Chinese characters. This rendition of the old Raptors jersey is part of a recently released Mitchell and Ness Chinese New Year Collection, open to the public and fans to purchase. However, the Raptors will not be wearing them. The Raptors are one of 15 NBA teams hosting Chinese New Year-themed celebrations in their home arenas this year. Each team is celebrating with various in-game elements, fan giveaways, musical performances, special content, dancers, food, courtside signage, concourse decorations and partner activations. But while the Houston Rockets and Golden State Warriors are wearing Nike City Edition uniforms with Chinese characters and symbolism, the Raptors will not. Sunday’s home game against the LA Clippers would have been a great opportunity to wear a special jersey, but the Raptors instead opted for their usual white home uniform. They play again Tuesday in Philadelphia on the official day of Chinese New Year, which the NBA lists as a ‘marquee matchup’ for CNY celebrations. There are no plans for a special uniform then either. The Raptors have no shortage of uniforms in circulation. They have an Association (white), an Icon (red) and a Statement (black) jersey in rotation, to go with two OVO/Drake City jerseys. As per NBA rules, the team needs to keep them for a certain number of years, a Raptors spokesperson tells Daily Hive. The latest jersey unveiled, a red and white Earned uniform, must use the same template as the City Edition jerseys. The Raptors have participated in a series of Chinese New Year games in the past, joining Golden State, Washington, and Houston in rocking an alternate look in 2017. Wouldn’t it make sense to capitalize on that?